Dr. Nauman is fully committed to delivering patient centered preventive dental care, to diagnosing and treating dental disease in its earliest stages, and to correcting the cosmetic dental issues that may keep you from showing off a bright and confident smile. Dr. Nauman is an exceptionally gentle and compassionate family and restorative dentist with the experience and expertise to address any dental concern you may have. For the dental care you deserve, make your next appointment with Glisten Dental today. We treat patients of all ages at Glisten Dental. 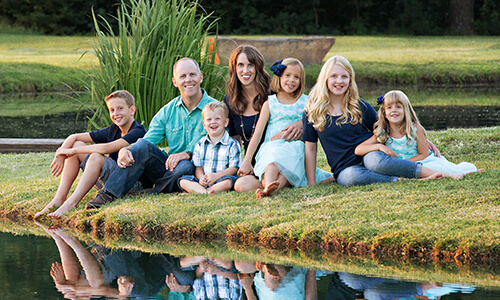 Dr. Angie has five children of her own, and understands the kind of care that our young patients need in order to have good dental experiences. Our office is designed with TVs and iPads for the little ones entertainment while waiting to visit with Dr. Angie or waiting while a parent or sibling is receiving care. We also have a bubble gum machine for prizes after treatment! Night guards to protect against clenching and grinding during sleep. Many people unknowingly engage in these activities while they sleep. Dr. Angie is able to determine if pain or sensitivity in the jaw or teeth is due to grinding or clenching by asking several specific questions, and thus determine if a night guard is needed. Night guards are custom-made based on the patient's physical needs and severity of clenching or grinding. Dr. Angie is also available to handle your dental emergencies. Should a tooth get broken or knocked out, early treatment is ideal. If you are experiencing persistent pain, soft tissue injury, or a problem with dentures or a dental crown, contact us and we will make the most appropriate arrangements. Your dentist should be someone that you look forward to seeing. We make every effort to create the kind of environment our patients will enjoy visiting. To schedule your appointment with Dr. Angie, contact our office today. Call Glisten Dental to learn more about a Family Dentistry services in Tulsa, OK. Our office is happy to treat patients from Bixby, Sand Springs, Jenks, Sapulpa, Owasso, Broken Arrow, Claremore, Okmulgee, and all surrounding communities.